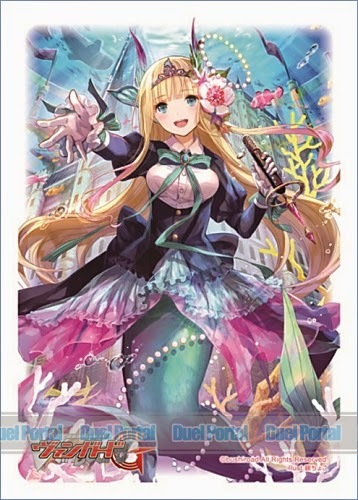 This morning Bushiroad of Japan's weekly information bulletin revealed five cards from the upcoming booster set G-BT03: Sovereign Star Dragon. The new cards, as well as the video itself, are given below. 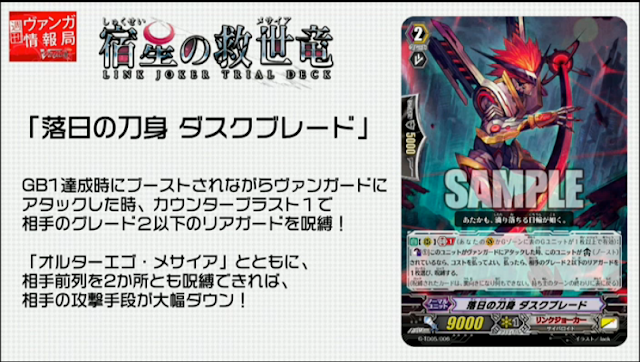 Chief among those revealed is the new Gold Paladin stride Spear Cross Dragon. Spear Cross is another twist on the persona generation stride units that have defined much of the mid to endgame of the current format, but like with Aurageyser Dragon before him, Spear Cross modifies the formula severely. 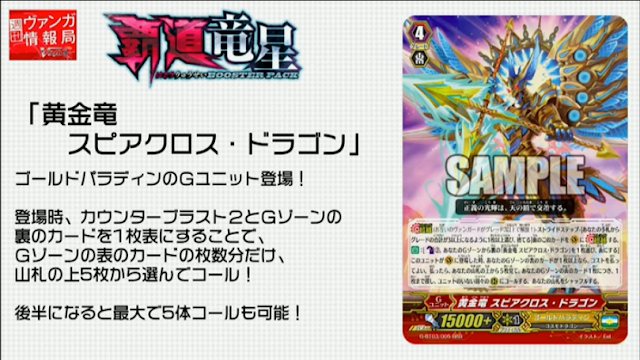 AUTO: [Counterblast 2, choose one face down "Golden Dragon, Spear Cross Dragon" from your generation zone, and turn it face up] When this unit appears in the vanguard circle, if there are 1 or more face up cards in your generation zone, you may pay the cost. If you do, look at up to 5 cards from the top of your deck, and for each face-up card in your generation zone, choose 1 of those units, call all of those chosen to empty separate rearguard circles, and shuffle that deck. Because of Spear Cross' unique on-stride timing, and being only able to pay the cost if there is already a face-up G unit in the generation zone, Spear Cross is functionally similar to the main phase strides that require two or more face-up cards in the generation zone. However, by calling as many rearguards to open circles as there are cards face-up in that zone, Spear Cross also accomplishes superior calling on par with that of Wolf Fang Liberator Garmore and Monarch Sanctuary Alfred. To avoid calling trigger units, a greater depth can be reached using the on-stride counterblast 1 of the grade 3 Gurguit, who superior calls a card from the top four cards of the deck and replaces the remaining ones on the bottom. 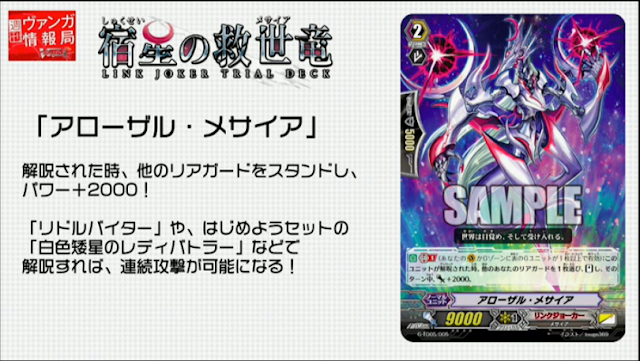 This gives Spear Cross a net nine card reach, and if used as the second stride of the game will bring out three units for three counterblast; if used as the third it instead brings out four in conjunction with Gurguit. The primary problem faced by Gold Paladin cardfighters at this point is budgeting and countercharging counterblast, as the bevy of both genericized and non-Liberator support in Sovereign Star Dragon opens up multiple deck options to use their stride units with. AUTO: Generation break 1: When this unit is unlocked, choose up to one of your rearguards, stand it, during this turn it gets Power +2000. Second to Spear Cross is Arousal Messiah from G-TD05: Fateful Star Messiah, who occupies the space in the trial deck normally given to a base 10000 grade 2. Arousal's skill is useful in conjunction with the Alter Ego & Amnesty Messiahs, as it allows for up to four attacks in the turn by locking Arousal for Alter Ego's on-stride cost, attacking with the other rearguard lane and then Amnesty, unlocking Arousal with Amnesty's counterblast 1 and then using Arousal to stand the rearguard that had just attacked previously. AUTO: Generation break 1: [Counterblast 1] When this unit attacks a vanguard, if it is boosted, you may pay the cost. If you do, choose one of your opponent's grade 2 or lesser rearguards, and lock it. The broadcast also revealed the Japanese edition text for Sunset Edge Duskblade; the English edition print of the card has already been known from posters for the international trial deck. Duskblade is among the first cards to receive this treatment, highlighting the approaching synchronization of the English and Japanese set releases for all. 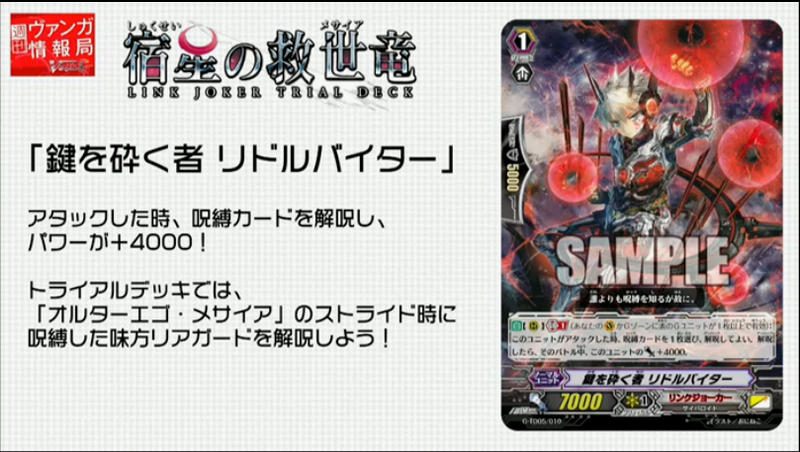 AUTO: Generation break 1: When this unit attacks a vanguard, choose up to one locked card and unlock it. 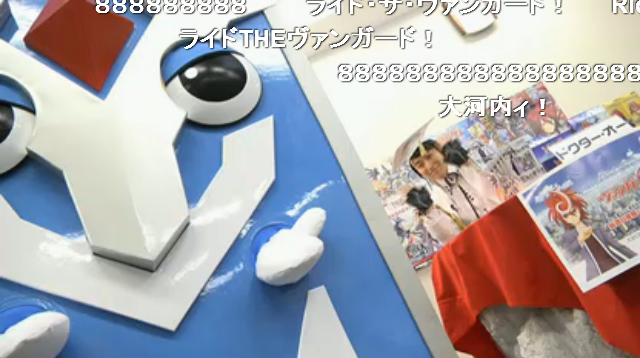 If unlocked, during that battle this unit gets Power +4000. Finally, Doctor O revealed the trial deck's effect trigger, a Link Joker copy of Margal that gives one unit on the field +3000 power by putting it into the soul. A playset of these draw triggers will be included in every Fateful Star Messiah deck. (Jump to 14:34 to see the triggers.) The broadcast attracted almost twelve thousand viewers during its run and over 6400 comments. In other news, Duel Portal has revealed four upcoming sleeves for the Bermuda Triangle clan from Clan Booster 01: Academy of Divas. In order these are Shining Star of the Academy Olivia, Call of the Future Lawlis, Single Minded Young Girl Lydie and Lovely Day for a Walk Emilia. The sleeves have a border design pattern unique to this particular batch of minisleeves, which is more similar to Ultra Pro's Vanguard sleeves rather than Bushiroad's.